The Tesco Online Photo Centre is one of the many low-key Tesco subsidiary businesses. 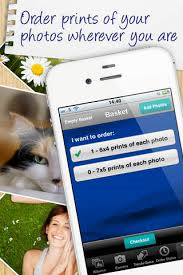 It offers a place to upload images from your digital camera and order prints and novelty items. It is not run directly by Tesco but is a ‘white label’ version of the Max Spielmann site. If you have not registered with them before, you will receive 150 Clubcard points if you sign up and spend £15 within 14 days. Full details are here. If you currently use a competing photo site, there is no need to move across to Tesco permanently. You could upload just one batch of images to Tesco – enough to reach the £15 target when printed – and then forget about them. You can upload the same images to your regular photo service to keep all your prints in one place.